In late 1962, the Beatles stepped into EMI studios for the first time, meeting producer George Martin and beginning an unparalleled and remarkable recording career. Over the next eighteen months, they would release four number one singles (including “She Loves You” and “I Want To Hold Your Hand”) and two number one albums while becoming worldwide superstars. 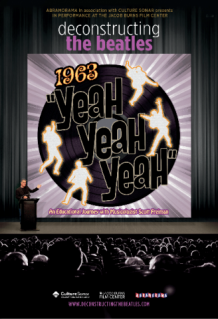 In Deconstructing the 1963 Beatles, Scott Freiman explores the music that helped launch Beatlemania.